I've been working on this for a long time and it has been finally released! It's an XBOXLIVE Indie Games painting app called "Graffiti LIVE"
-supports automatic image sharing, download images while drawing your own! 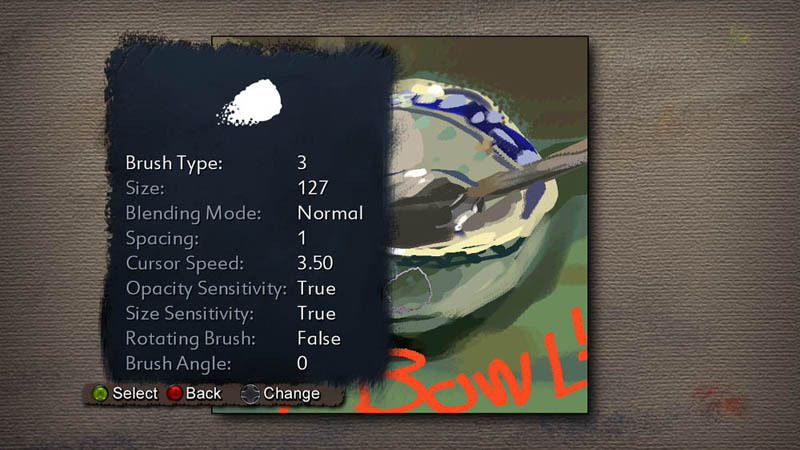 Only probalem I see is that it'd be even harder to paint via the contgroller versus the mario paint mouse, unless there's been some sort of update where we can have mouse control (wouldn't it be awesome if we could plug our tablets in too?) But I'll check it out when I can. At least with the gamepad you have analog pressure sensitivity, and u also get with it alot of hotkey options! The mouse is the greatest peripheral ever invented and to argue otherwise would just be folly. Art: I need some info on the photo-online community.